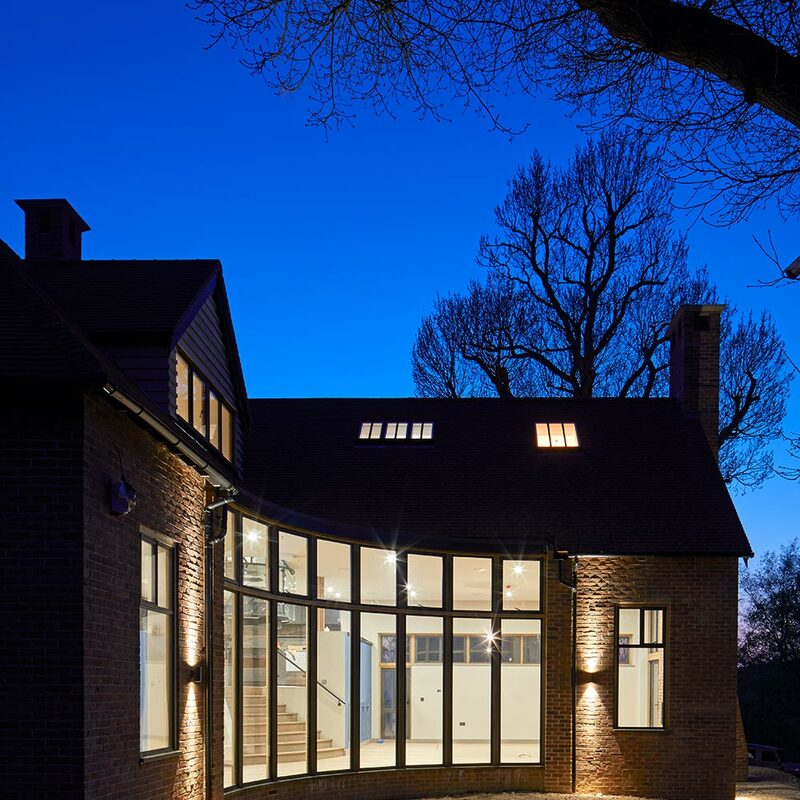 "a unique design in tune with its environs"
Our clients approached us with a wonderful site but with a very small and dilapidated chalet bungalow located in the Green Belt and an Area of Outstanding Beauty. The property’s location severely limited the development potential of the original dwelling. 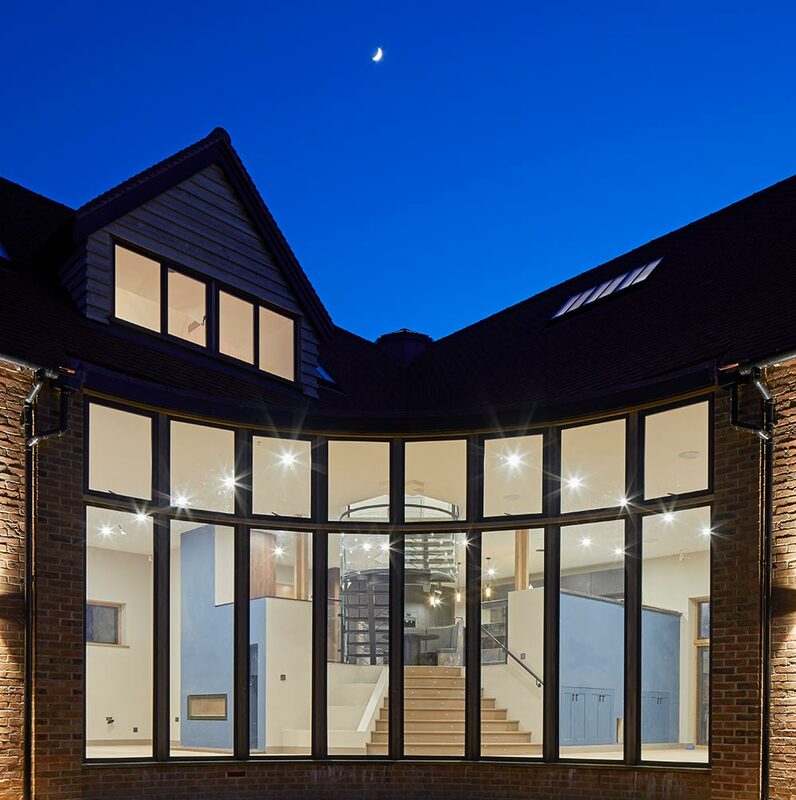 However, through a combination of good design and our detailed knowledge of the planning process, we managed to achieve permission for a much larger house three storey house. The cruciform shape of the house takes advantage of the steeply sloping site and its views while sitting between two mature oak tress. 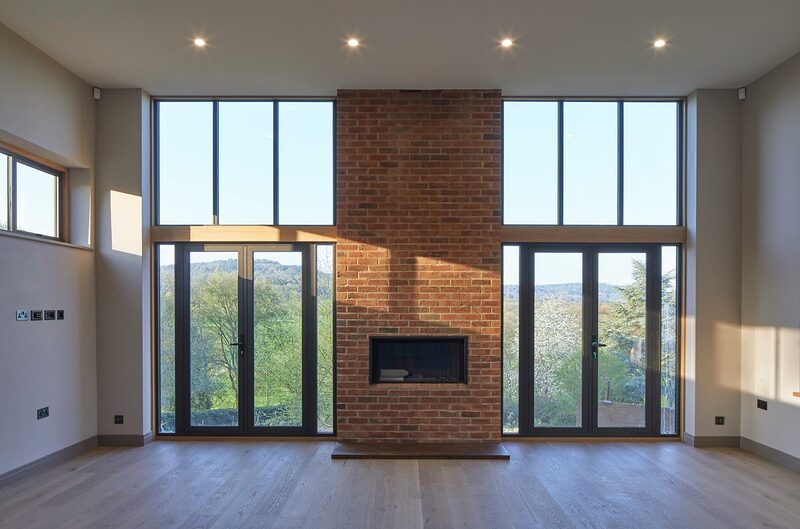 The 4m high curved windows fill the interiors with light while taking advantage of the views across the rolling countryside of the South Downs. 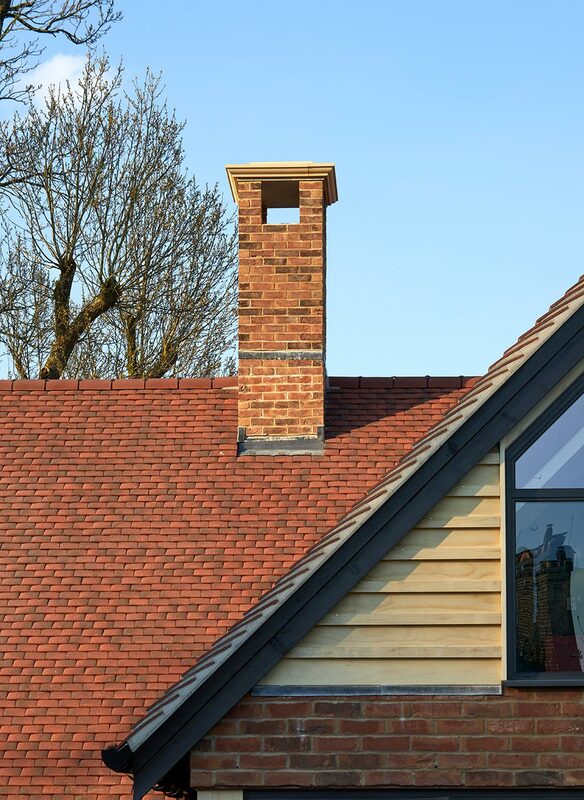 We are delighted to have received much praise for the design of this house, not least from the planners and council. 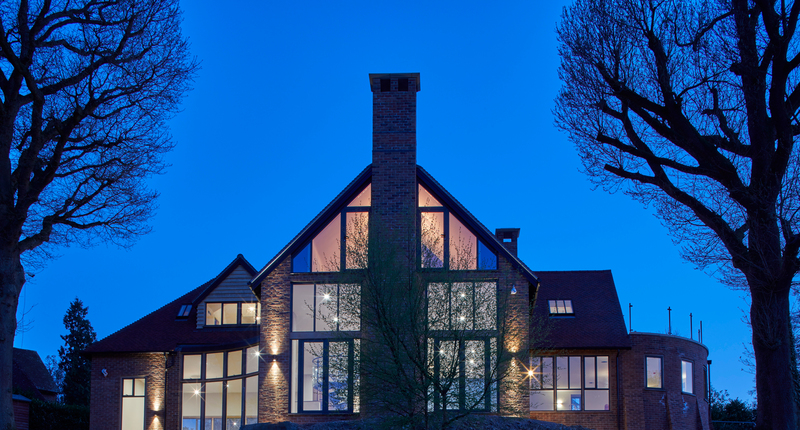 The combination of our design and the client’s stunning garden has created a very special family home.